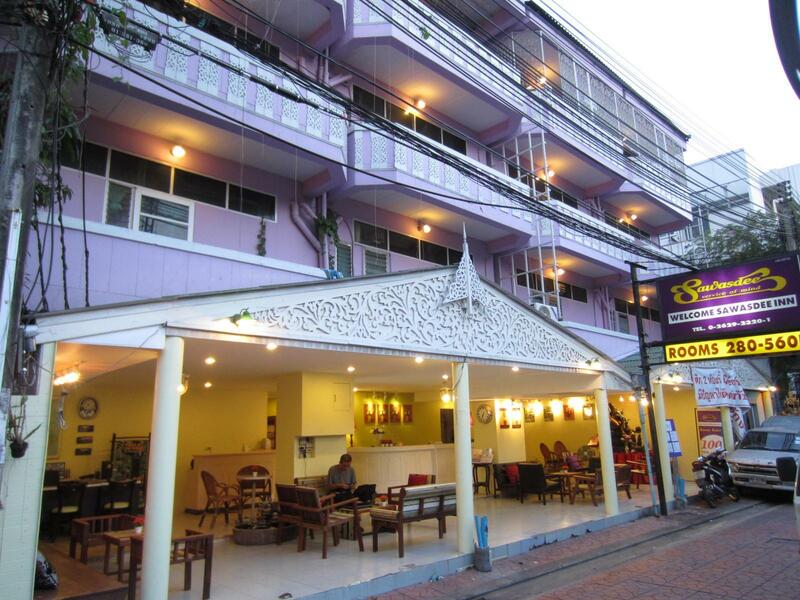 "Good location near facilities and river to see wider Bangkok..."
Have a question for Sawasdee Welcome Inn Hotel? "In addtion, the facilities in the room are good: microwave,..."
This property offers affordable accommodation without losing the amenities in the vibrant city center. 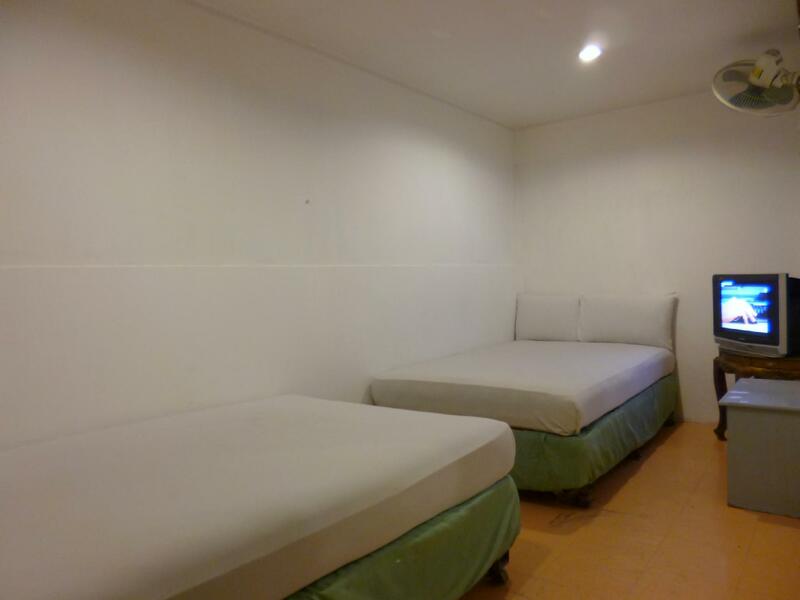 From budget savvy dormitory rooms to deluxe twin rooms, Sawasdee Welcome Inn Hotel maintains a safe and clean atmosphere. Enjoy the food and coffee at the popular restaurant below or the number of bars and restaurants in the area. 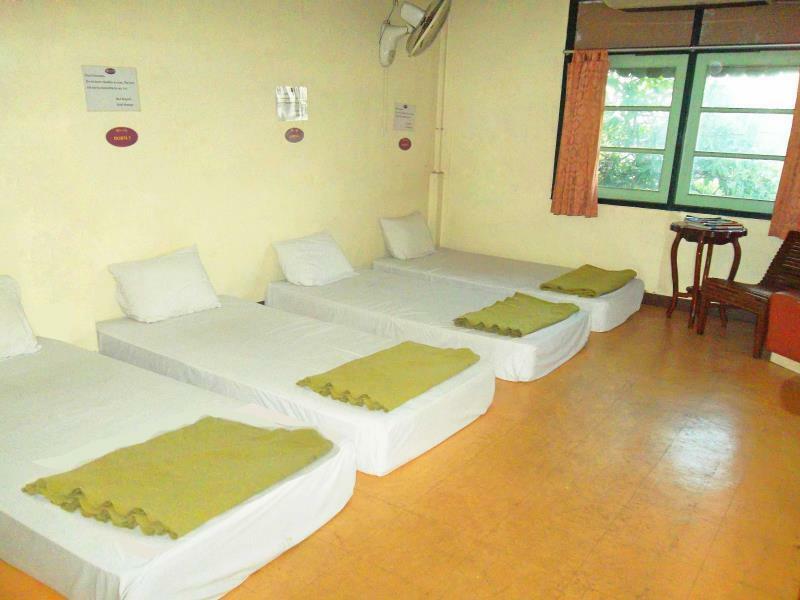 Rooms vary from air conditioned to rooms with fans and shared bathrooms or private. Whatever your choice may be, all boast comfort in a culturally rich Thai atmosphere. And if you wish to explore the area, the city center offers a great deal of sights and daytime excursions to fill your photo albums with lifelong memories. My only real complaints are that the window to my room was broken so the cold from the AC got out, as well as letting mosquitoes in. I woke up with probably 20 mosquito bites! VERY basic room, but for cheap hotel you can't really complain. 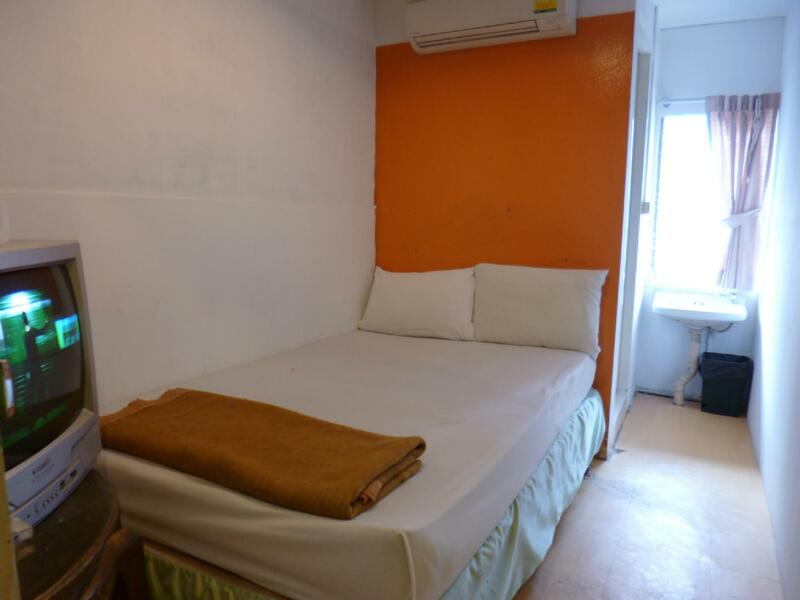 The location is very near to the grand palace and the famous night market street. But the ladies in the restaurant is really annoying. The staffs are really friendly, they also suggest you where to travel or how to get a place. I booked a dormitory room , but when I got there, there was only me. The hotel location is good, it take you 200 meters to the beach, easy to get a tuktuk, around there are many foodcourts and convient stores, reataurants, ect. The only thing that I would complain is the air condition is so noisy, I told this thing to the owner, hope he will have fixed. 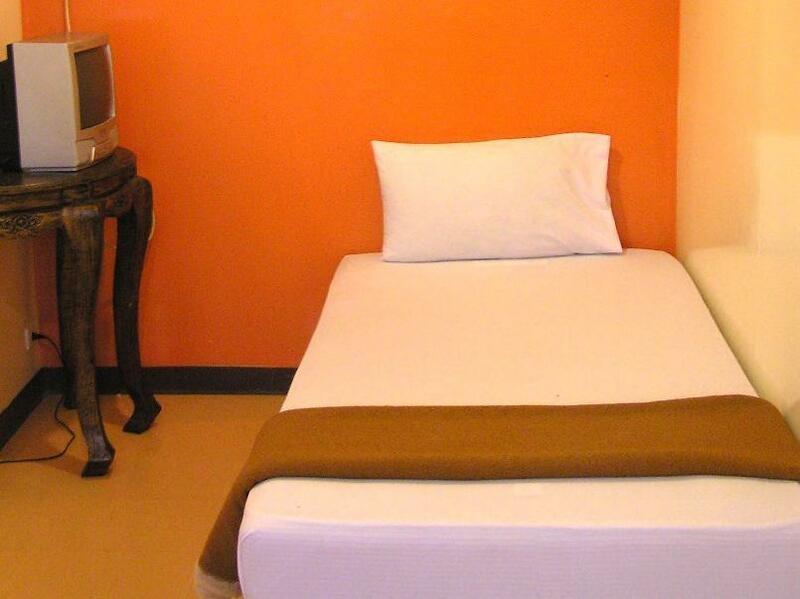 In addtion, the facilities in the room are good: microwave, fridger, safe box, big screen LCD cabble tv,etc. The location of this hotel is good. The Grand Palace is nearby. You could also take the boat ride along the river. However, maintenance of the building is required in order to get people to come back. The hotel is not that clean. The basin in the first shared toilet on the 1st floor is damaged but not repaired. When I on the tap, the water just flow onto the floor and wet my legs. The second toilet has a big hole on the false roof. I would only recommend for a short stay in this hotel as there are many hotels in this area and I am sure you can find a better hotel with the similar price. Location, food nearby and many travel agency around the area. This is a very old hotel but the location is good. Very easy to get food in the area. There are many travel agency around so booking a day trip is not an issue. The famous Khao San Road is just nearby. Only recommended for a one or 2 days stay. Don't be a fool like us, when book this hotel after read all complain on this reviews page. Please note, all room are contains bed bugs, dirty floor and bathroom. The staff so rude and unfriendly. I had to complaint about the broken bed, but they just said doesn't have it anymore and cannot move to another room. Helpfull friendly staff, location is good for nightlife, easy to find. I enjoyed my time at this hotel, it was only a few nights but for a budget hotel in that area it was definitely not the worst option. I was lucky that my room was away from the building work which is being carried out across the road. It can be frustrating with the drilling etc, but this is not the fault of the staff, they are equally frustrated by it. This is one of the best places to stay in the best part of the city. It's so close to allthebest sights and food . The restaurants are cheap and good food with excellent atmosphere. The beds and rooms era clean and we were always treated well by the friendly staff. The folksat this hotel are very helpful and friendly and they help if you are not sure where to go or how to get thre. Tuks tuks and taxis are very close and cheap. Take a hint. Don't book here. the rooms have no windows, bedding hasn't been washed in long time, dirty, worst of all, you can't stand the smell. You are not confused, Yes, there is a successful Sawasdee hotel too 3 blocks away, but this is a dump that the owners purchased, now he has 3 hotels, two are dump. They refused to give us refund for cancellation, I had to pay cash seperately to get another room. Basically this place needs to be torn down. Oh, no rooms have private bathrooms, they are all shared, and they are so bad, I don't have words. Its been over a week when I checked out, I even get a yuck feeling just writing this review. The staff at the front desk counter was very rude. No smile at all. THe room was small, as for a muslim like me, praying in such room is extremely hard. My sleep was disturbed by the loud noises from the outside and the bed bugs. The staff was nice, but we wary that the drinks to purchase in the lobby are about double the price as on the street. The chairs in the lobby were comfortable for meeting people and just relaxing with a book. I would def stay here again. service is good.room is small ,clean and neat.it's quite close to great palace and khaoshan road.both convienent for sightseeing and nightlife.we booked the standard room,bed is enough for two people,but no place to dry clothes. good proximity to ferry boat. The beds in the first two rooms they tried to give me were a lot worse than those you see discarded in trash dumpsters. The window was missing panes of glass. The TV didn't work properly. Just having to walk by the shared bathrooms was a scene from Hell. A few of the staff were ok, others were downright rude, earplugs in, behind the desk. Dogs barking all night, roosters in the morning, and construction all day........Street food is unsanitary, there. I've stayed at Sawasdee Welcom Inn Hotel quite a few times mainly because it's cheap. What I do is stay here for the night than take a walk around Khao San road and try and find a better hotel with around the same price. Don't get me wrong, Sawasdee Welcome is not a horrible hotel. 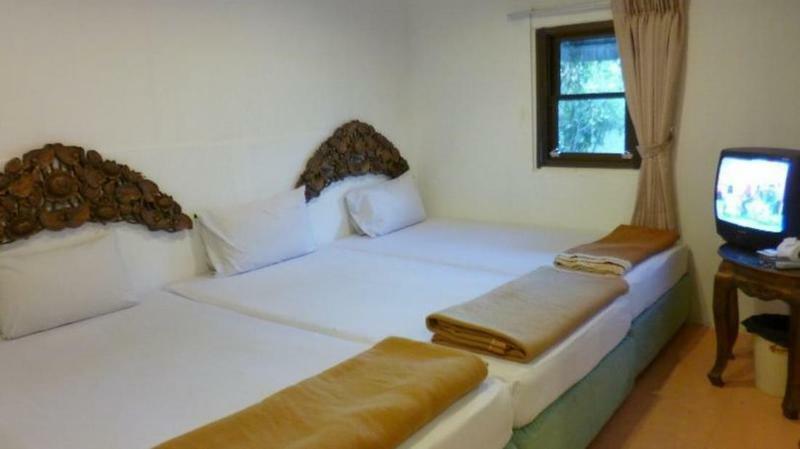 It's very bare basic but it is possible to find a guesthouse that cost around the same but newer. But for some I can see it's a good choice for long term stay at cheap rates. Well there's not really much to say except you get what you pay for. My standard room was small for one person like me it's fine but don't expect to have more than 2. The condition of the room is very plain and simple with a bathroom close to needing some care. The bed was clean and so were the sheets so I'm happy. Overall this is hotel for travelers on a tight budget or for anyone who's just touring out most of the day. I would only recommend this hotel to people who know what to expect in cheap hotels. i lived there more than 4 nights, I like there, the breakfast is good, and the tourist agency there is very nice, too!but not so easy to find it, I asked many people... finally I got it. the enviroment is good, very quiet place! with hot water...anyway, nice price, nice room. I will go there again next time. The hotel has really bad water pipes. Water is coming through the walls. The sink faucet broke in my hand as I turned on the water. The room began to flood until I turned off the water. The second room was as bad as the first. The walls are broke and tattered. No elevator, so if you are going to stay there try to get a room close to the ground.